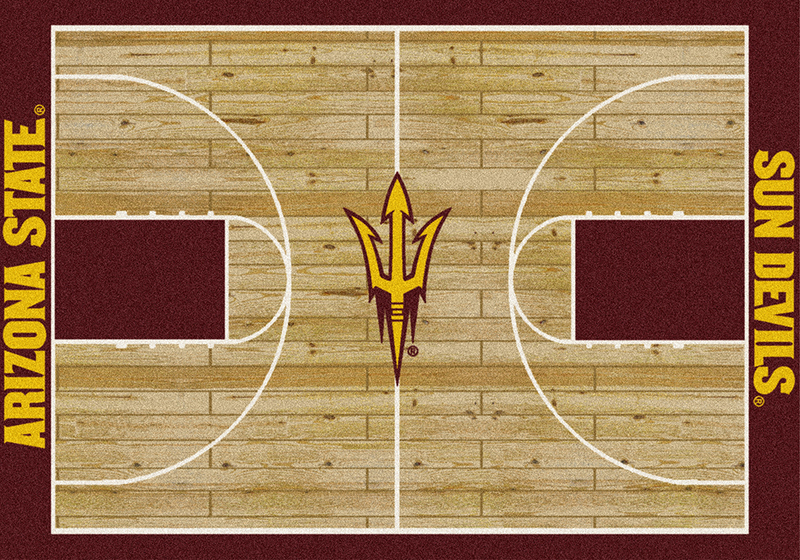 Your favorite Basketball college team Home Court rugs will help you show your team colors at home. Printed in USA on 100% Nylon base, these rugs are durable and fun.Perfect for any alumni, college dorm or a special room in your house.Also, these rugs make a perfect holiday gift for a fan! These rugs are custom printed to order in the USA. Per our return policy custom made products are NOT returnable. Please allow 7-10 days for shipping.